Melbourne Rebels captain Stirling Mortlock has played down retirement talk but has yet to decide whether the forthcoming Super Rugby campaign will be his last. The 34-year-old, recently made a Member of the Order of Australia (AM) in the Australian Day honours, is set to spearhead the Rebels title challenge and add to his tally of 138 Super Rugby appearances dating back to his Brumbies debut in 1998. The former Wallabies captain, who won the last of his 90 Test caps in 2009, has a further year on his current contract although he admits his body may decide whether he plays on past this season. "In my case I do really love doing what I do so it's more about the body," Mortlock told AAP. "I'll play the trials, get into the tournament and then hopefully the body will be talking to me by then; it will make sense." Rebels coach Damien Hill, preparing for his first season in charge having taking over from Rod Macqueen, sees no reason for Mortlock to call time on his playing days. "Stirling's still getting personal bests in the gym so he's continuing to improve," Hill said. "As long as that happens he's definitely a possibility to continue." 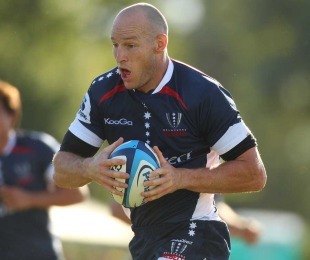 Mortlock is limiting his workload in pre-season but that is not to say he is taking things easy. "My body responds better when I put it under some strain and a bit of load so I've got to do the training and the work," he said. "I found last year the more games I played the better I went."